I have a semi-regular D&D group that I game with. I say semi-regular because we only get to play once every couple months. It doesn't help that several of the players moved away for work and so scheduling a weekend where people can drive in can get to be troublesome. We're playing this weekend because one player who recently moved to Ohio will be back in town. What we really need is a virtual tabletop with which to play our game remotely. Oh, hey, look at that. 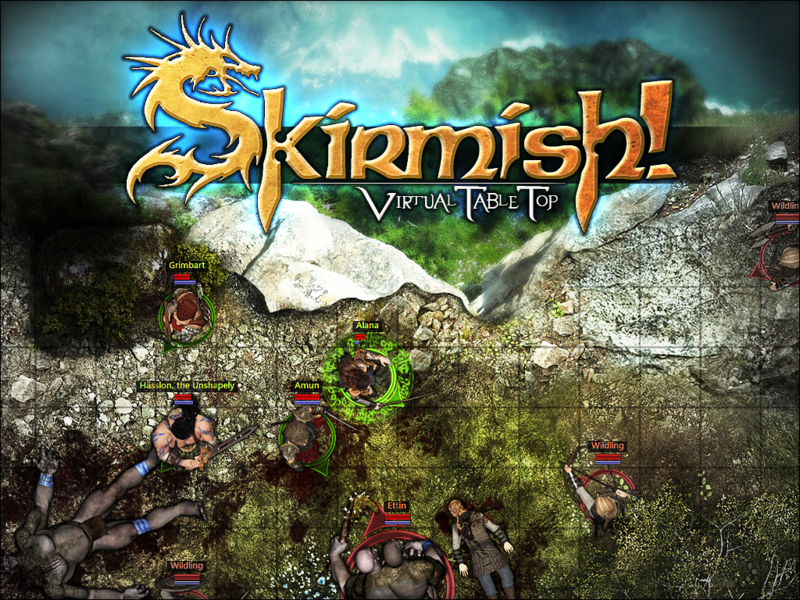 Skirmish! Entertainment has just such an item over on Kickstarter now. Granted, you don't have to be in different parts of the world to use this new tabletop software. It can be used offline to help enhance your get-together groups. The software features three main components: Core software features, Core plug-ins, and a Content library. The Core Features include such things as fog-of-war and a mini-map to help keep track of where everyone is. The Plug-ins are what you can use to customize the software to emulate whatever game system you might be wanting to use. Meanwhile, the Content Library will give you all the tokens, maps, and other extras to make the game neat and organized. The campaign is up now and is set to run for another 41 days.